Why Is The Tardis Bigger On The Inside? To the uninitiated the Tardis is just a blue box with the warm, friendly, and official looking sign “Police Call Box” emblazoned, in lights, on all sides. To the fan, The Tardis is short for “Time and Relative Dimension in Space” and its way,way more than just a Blue Box. Today we will explore the most obvious and endearing quality of this most peculiar object. Dimensionally Transcendental indeed. But what does that mean and is it possible? Do the laws of physics allow for that particular conceit. Well, Yes. The ridiculously Weird Science of Modern Physics allows even this far fetched premise. There are many ways to achieve this. We will explore but a few. First, and easiest for our trusty Time Lord to achieve would be a simple, Space-Time projection. 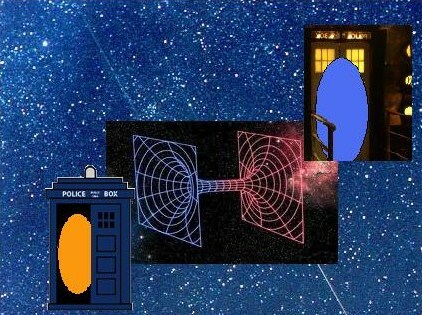 The Tardis’ interior might just be in a distant part of the universe and the doorway that connects the police box exterior might just be a straight forward, yet impossibly difficult to achieve, Einstein-Rosen Bridge, better known as a wormhole. This means that when the Tardis Materializes and dematerializes, in fact the only thing changing location, not necesarily moving, is the access point. This acces point in Space (and time) is the wormhole’s entrance in disguise as a Blue, circa 1954, Police Box. The interior of the Tardis is safely stowed away at that “undisclosed location” far, far away. The Physics of wormholes is well known and all that the Galifreyans need wrestle up is just a bit of exotic matter to keep the portal from collapsing. That should not be difficult even for the most daft of Rassilon’s brood. Even more Tardis speculation AFTER THE JUMP! Alpha Rising is a well-written story using very familiar science fiction themes that is worth your time if you’re a compulsive reader thanks to it’s can’t miss price of free. These three first sentences are incredibly telling of what is to come in Alpha Rising by G.L. Douglass. I agree with other reviews of this book that it is well written and that the story line is very good. But if you are a hard-core Science Fiction fan you will find some of the themes very familiar. At times I found this a little frustrating, mainly because I was hoping for something new. As I was reading I recognized elements from 2001: A Space Odyssey, Mission to Mars, and Star Trek. There was also a strong biblical undercurrent that pushed the story along. The author brings good character development, so well in fact that I found one character particularly frustrating given her position at NASA. I did not like that one of the two female astronauts immediately broke down and turned into a sobbing blubbering mess. Given all the psychological testing, physical and mental training that astronauts under go, I found this to be highly unlikely behavior so soon into the story. I immediately wanted to shake her and tell her to pull herself together. One other point of contention is with the very improbable time line this book is given. 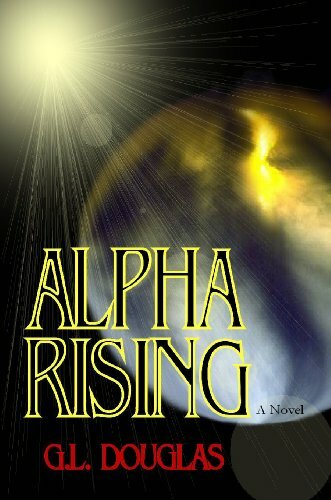 Alpha Rising was published in 2006 and the book takes place in 2020, making the space travel talked about improbable in the time frame of this book. But if you can get past that you will find the varying ideas of space travel discussed in Alpha Rising very intriguing. Despite my issues with Alpha Rising I really enjoyed reading this book. The fast pace, good writing, believable characters, and underlying message made for a very quick enjoyable read. Just right for a summer vacation or a day at the pool. An 80-year-old South African man was reported dead by his family and taken to the morgue where the undertaker checked his vitals and verified the death. The body was then locked up in a morgue fridge for 21 hours when he suddenly woke up and started banging on the fridge door screaming to be let out. The morgue owner and employees first thoughts were “ghost” – even though everybody knows ghosts can just ooze right through walls. So they called the cops and once the cops came with guns, they bravely entered the morgue and luckily did not kill the man again. 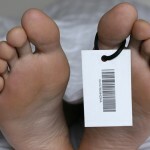 After police arrived, the group entered the morgue together. “I was glad they had their firearms, in case something wanted to fight with us,” Maqolo said. 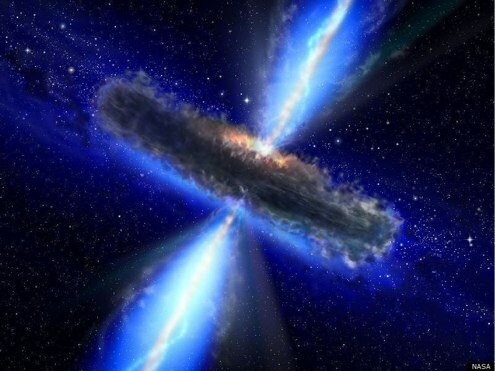 Astronomers have discovered a reservoir containing 140 trillion times the amount of water in all the Earth’s oceans, making it the largest mass of water ever detected in the universe. Thanks to Weird Things reader Jason for sending this in. An Auckland, New Zealand railway tunnel project is on hold pending discussions that it will anger and destroy the home of Horotiu. When angered, these mythical creatures will attack humans, and in fact they are believed by some to be responsible for many road deaths. 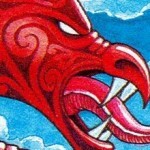 But Horotiu, a mythical monster, put the NZ$2.6bn ($2.1bn) project in doubt after an indigenous Maori board protested that it will destroy grounds once patrolled by the taniwha (pronounced “tani-fa”). Glenn Wilcox, a member of the Maori Statutory Board, which protects Maori interests, complained that the plan did not take into account the monster, which “was here first”. Ranginui Walker, a respected Maori elder, said at the time: “You have to placate local demons, deities, taniwha. Of course, the creature has now opened a Twitter account to make it easier to follow what is going on in his life. Heavy winds near Sydney are pushing these waterfalls right back up the cliff. The boys are joined by old friend Brett “The Amtrekker” Rounsaville as Justin schemes up the perfect murder plot which comes dangerously close to his interaction with one of his fellow panelists. Andrew dreams of a beautiful future where we all live on hollowed out space rocks and are delighted by it. Brian wields a razor with deadly accuracy, but will it put him on the wrong side of our new robot overlords? 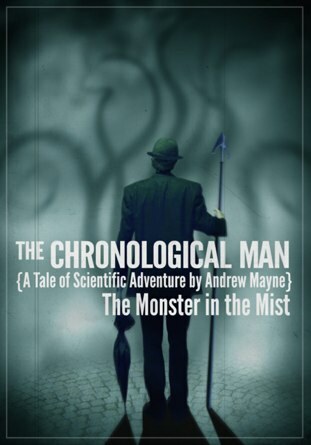 Support the show by purchasing Andrew’s new book The Chronological Man: The Monster In The Mist for only 99¢ at Amazon.com by clicking the image below! 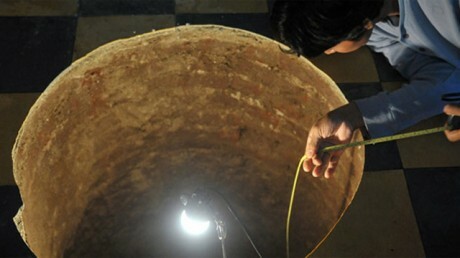 Another sinkhole has opened in Guatemala, right under a woman’s bed. While she was sleeping. The sound of a gateway to hell being opened under her bed is what woke her up. About a million things are terrifying about this. A few feet to the side and poor Inocenta might have plunged into the sinkhole as she stepped out of bed. A few feet wider and it could have swallowed her whole bed. Or just the fact that in Guatemala, you could be walking down the street or eating at a nice restaurant one moment and find yourself devoured by the earth the next. Histoplasmosis – also known as Cave Disease or Spelunker’s Lung, is caused by the fungus Histoplasma capsulatum and primarily affects the lungs. It is fatal if untreated, and hey, it grows in soil contaminated with bat droppings. Rabies – Bats make up a quarter of the rabid animals reported to the CDC. Enough said. Marburg Hemorrhagic Fever – Found in equatorial African caves, this cousin of Ebola incubates in fruit bats that live in caves and mines. Leptospirosis – Also known as Rat Catcher’s Yellow, this is caused by infection with bacteria of the genus Leptospira which grows in water contaminated with the urine of bats and rats. Do not drink cave water. Cave Fever – Also known as relapsing fever, this disease comes from getting bitten by infected ticks. I think the real lesson here is that bats are filled with disease. For a casual tourist, like the 500,000 annual visitors to Carlsbad Caverns National Park in New Mexico, walking through a cave is essentially as safe as walking down the street. 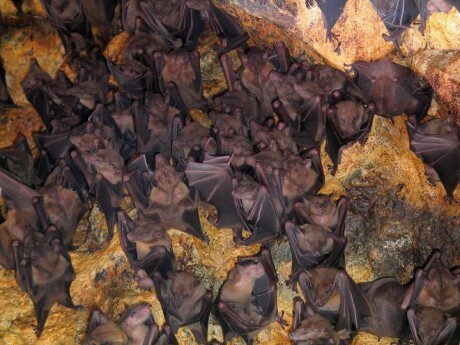 It is the sport cavers, those who crawl through muck and mud into little-explored crevices, that must protect themselves from things living on bats, rodents, ticks and other bugs, Igreja said. Igreja surveys the classic and emerging cave-borne diseases in the June 10 Wilderness and Environmental Medicine. We’ve collected a gallery of the offending cave fauna, along with tips about how to keep sickness away next time you’re slithering among the stalagmites. Note: None of these diseases are exclusive to caves. Strange bugs can strike almost anywhere. And by sea monster – I mean most likely a whale. ‘It’s like nothing we have ever seen, it almost looks pre-historic,’ he told the Sun. 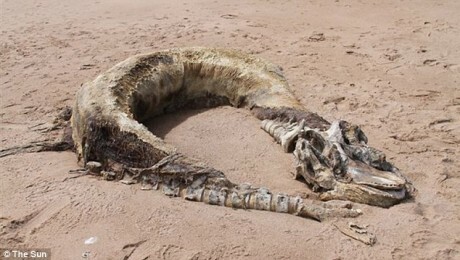 Curled up by the foot of sand dunes was the 30ft-long body of the unidentified animal with head, tail and teeth all discernible. Experts are now examining the pictures with one suggesting it could be the body of a whale. A spokesman for the Natural History Museum said: ‘We have spoken to one of our mammals curators, and they have confirmed the animal is probably a long-finned pilot whale – Globicephala melas. Scientists have announced the discovery of an entire new order of insects that has recently been excavated in South America dating from the Lower Cretaceous period, between 146 and 100 million years ago. 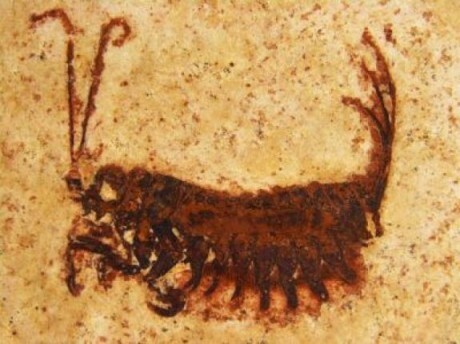 Both adults and larval stages of the fossilized insects were found and they have been named Coxoplectoptera. “They are believed to be a type of mayfly that is now extinct, but their appearance is perplexing as the adult wing shape is more like that of a dragonfly while the legs resemble those of a praying mantis. 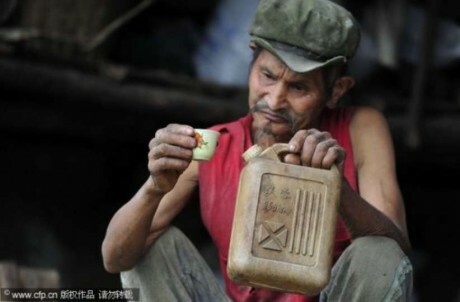 71-year-old stonecutter / bamboo weaver Chen Dejun drinks gasoline. And he isn’t dead. Apparently, he drinks it because it helps his chest pains from emphysema. Doctors theorize that he must have developed an immunity to gasoline. 71-year-old stonecutter and bamboo weaver Chen Dejun has been guzzling the stuff for half his life to quell his chest pains. But he hasn’t died. Can we just break that down for a second? Dejun says he drinks about 3 to 3.5 liters of kerosene and/or gasoline a month. Over 42 years, that means he’s sucked down around 1.5 tons of fuel in his lifetime. That’s about 535.5 gallons, enough to fill up a Corvette almost 30 times, according to calculations by Jalopnik’s editor Ray Wert. That is not a ghost owl. 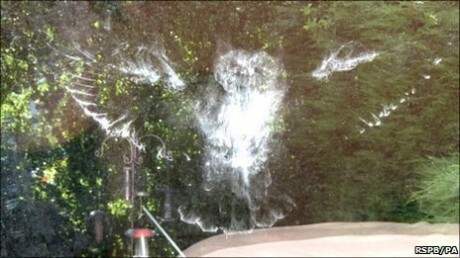 Apparently an owl hit a window so hard that it left a perfect owl print behind. Authorities state the owl survived but that the experience was “uncomfortable”. 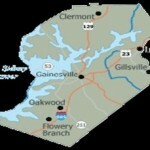 Residents near Gainesville, GA have reported loud booms and streaks across the sky. Dobbins Air Force Base said they do not know anything about it, but they are looking into the issue. AccessNorthGa.com received calls between 10:00 and 11:00, the first about 10:40 from the McEver Road/Browns Bridge Road area. The caller said it shook her house and wondered if it might have been a sonic boom, caused by a jet breaking the sound barrier. A second caller, a few minutes later, said he was sitting by his pool on Mountain View Road, which is off McEver, and saw a “streak across the sky,” followed by the loud noise, leading to some speculation that it was a sonic boom caused by a meteor entering the earth’s atmosphere. Lt. Col. James Wilson, a spokesman for Dobbins Air Reserve Base, said the noise was probably not caused by a plane approaching or leaving the base, which is in Marietta. He said the Dobbins flight schedule does not indicate any aircraft would have been passing through the area at that time. This video from the 2009 NHL Western Conference finals was just recently posted and even though there must be some explanation for what is going on here, I have yet to figure out how he did it. I am pretty sure this is why Chicago lost. 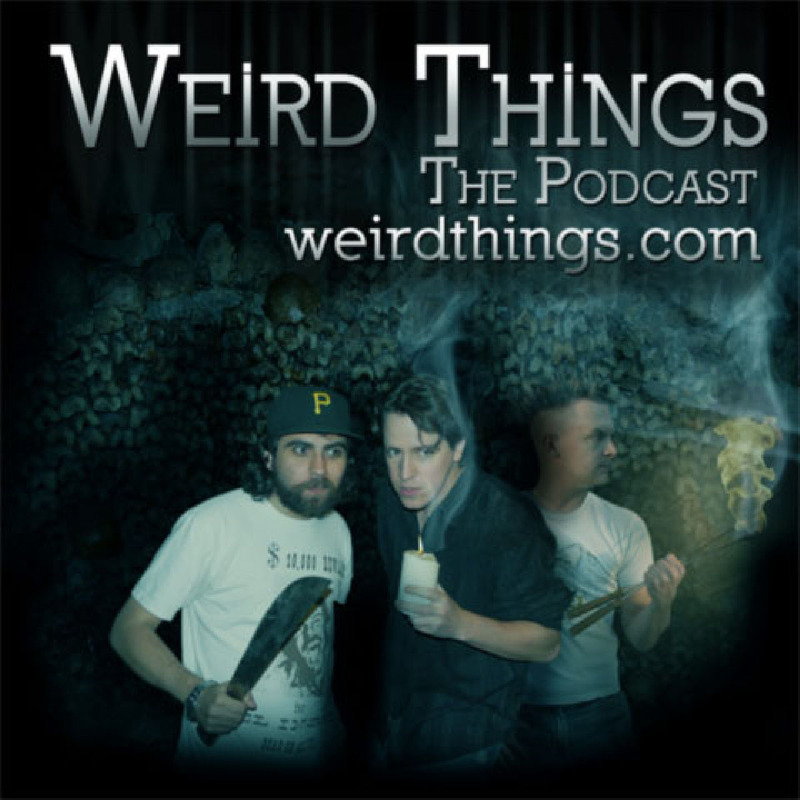 You are currently browsing the Weird Things blog archives for July, 2011.